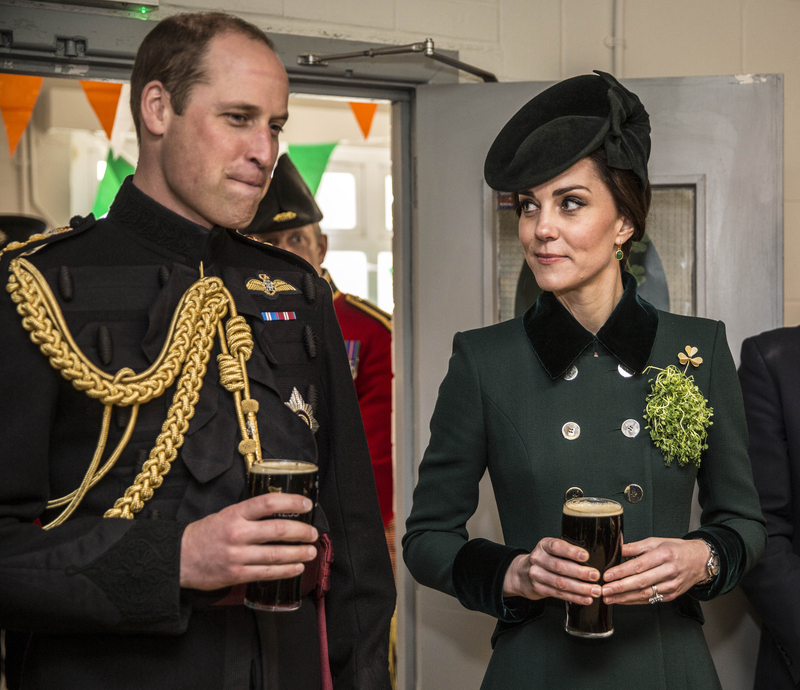 All eyes were on the Duke and Duchess of Cambridge Friday as they stepped out together for the first time after Prince William made headlines for his "lads trip" in Switzerland (in case you missed it: Kate was reportedly "less than pleased" with his behavior). They first appeared at the Irish Guards St Patrick's Day Parade in London Friday morning and then swiftly made their way to Paris, where they were greeted by French President François Hollande at the Elysee Palace. 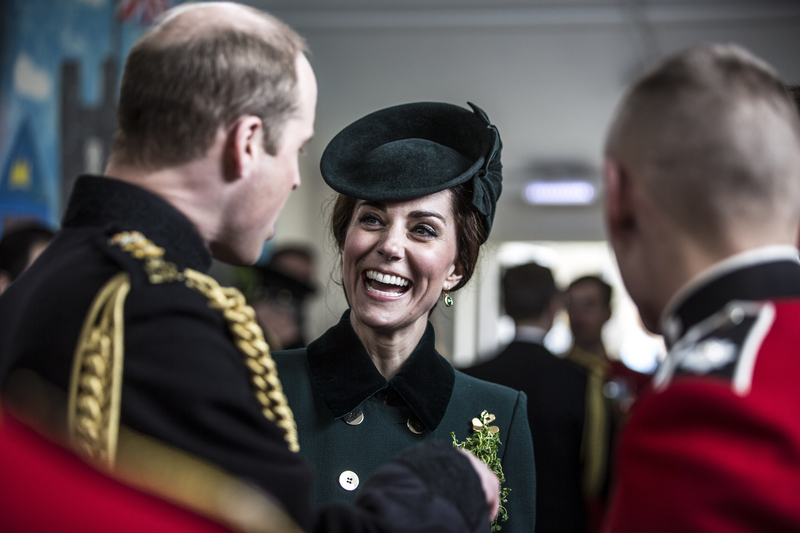 Kate definitely didn't disappoint with her green Catherine Walker ensemble at the parade and in Alexander McQueen at a reception at the British Embassy in Paris in the afternoon. 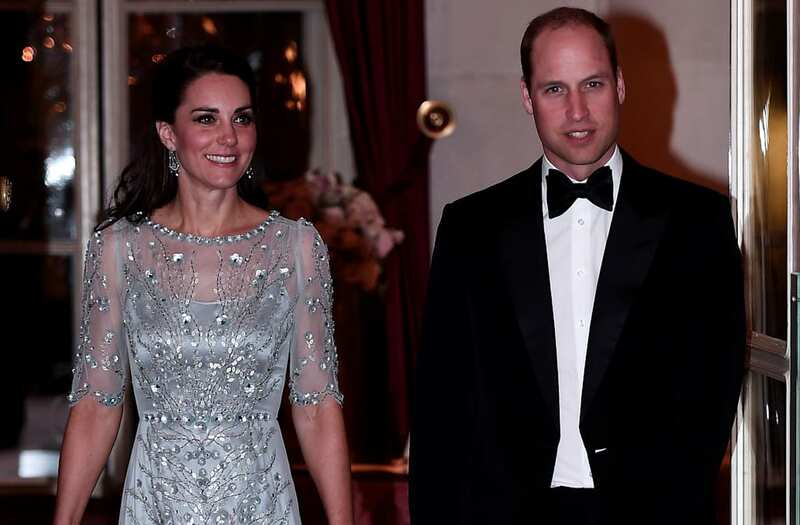 However, her dazzling blue Jenny Packham gown for a dinner hosted by Her Majesty's Ambassador to France, Edward Llewellyn, at the British Embassy in Paris takes the cake -- no questions asked. Many people are even comparing the royal mom to Disney's Elsa -- and we have to admit, we do see it. Prince William looked dapper in a tux by her side -- and regarding any signs of trouble in paradise between the duke and duchess, Evening Standard writes, "Some thought they looked perfectly happy and relaxed in each other's company, while another observer said: 'She is furious with him.'" Something tells us that they'll be okay. If nothing else, it's refreshing to know that even royal couples have relationship struggles.